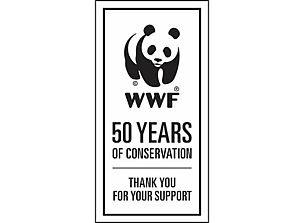 World Wide Fund for Nature (WWF) is one of the world’s largest and most experienced independent conservation organisations. Established on 29 April 1961, it was the product of a deep concern held by a few eminent gentlemen who were worried by what they saw happening in our world at that time. Since then, WWF has grown up to be one of the largest environmental organisations in the world. Today, we have more than 5 million supporters worldwide; and we are present in more than 100 countries to conserve and protect our natural environment. Gland, Switzerland is the home of WWF International, the secretariat for WWF's global organisation. Its role is to lead and coordinate the WWF Network of offices around the world, through developing policies and priorities, fostering global partnerships, coordinating international campaigns, and providing supportive measures in order to help make the global operation run as smoothly as it can. WWF International is governed by a Board of Trustees under its President, Pavan Sukhdev. Our President Emeritus is HRH The Duke of Edinburgh. We started our Singapore office in March 2006 to engage individuals and organisations towards making a positive change in their lives and business operations. Through our awareness campaigns and outreach activities, we aim to educate individuals from all walks of life on how a simple action can add up to make a big difference to our environment and safeguard the world’s biodiversity. We also work with businesses both locally and within the Asia Pacific region to help them identify sustainable business practices, as well as on how they can reduce their ecological foot print on the planet. Across the Asia Pacific region, WWF has a strong presence and history with conservation programmes in over 22 countries.